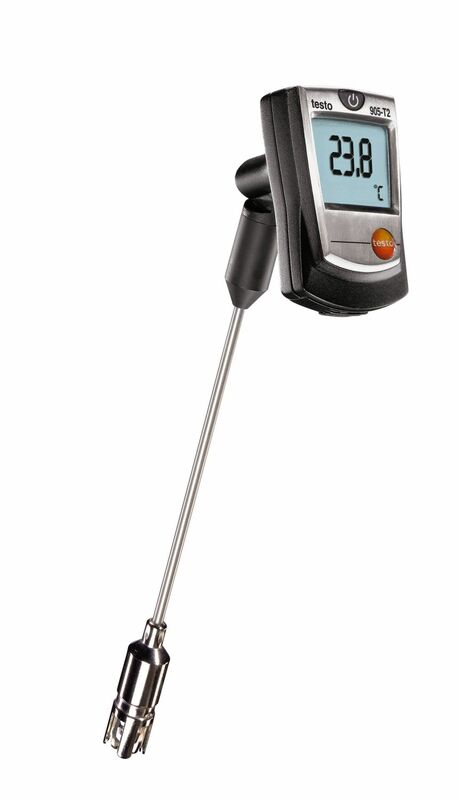 The testo 905-T2 surface thermometer provides you with the best piece of equipment for dealing with temperature measurements on both smooth and uneven surfaces. 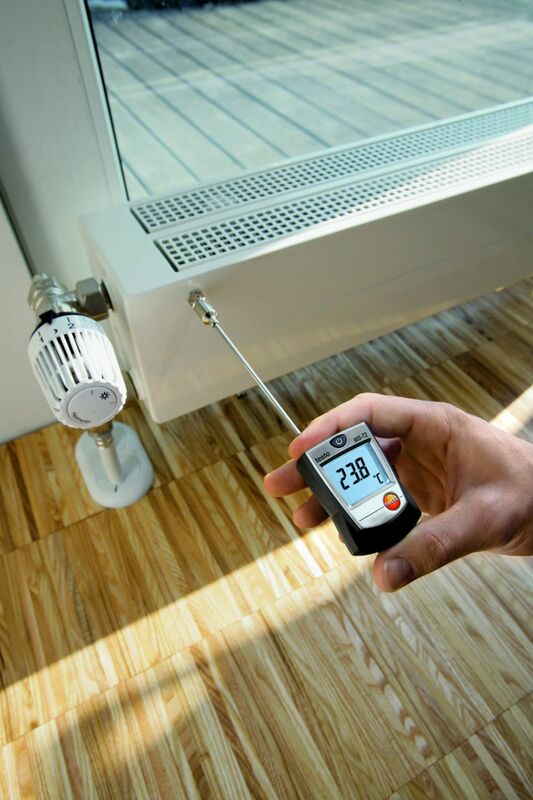 This is because its temperature probe (type K thermocouple) features a measuring head with sprung thermocouple strip that adjusts to the surface. 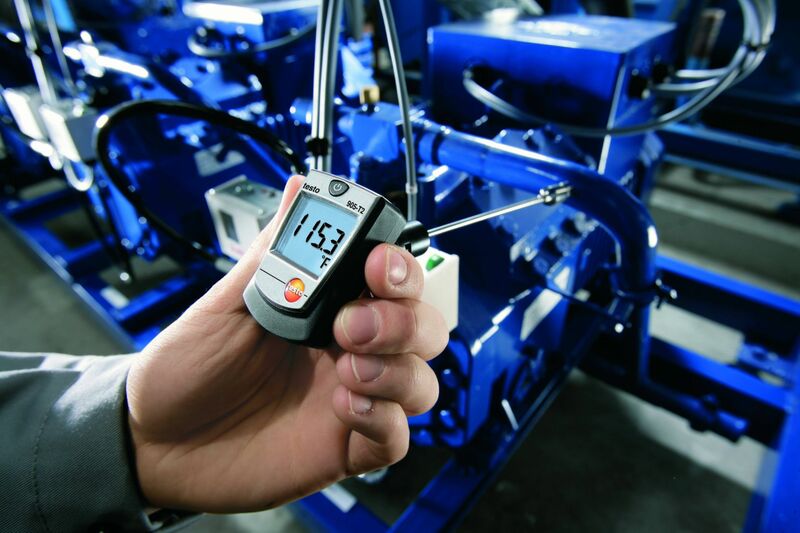 This method prevents the temperature probe from tilting - and therefore false measurement results. 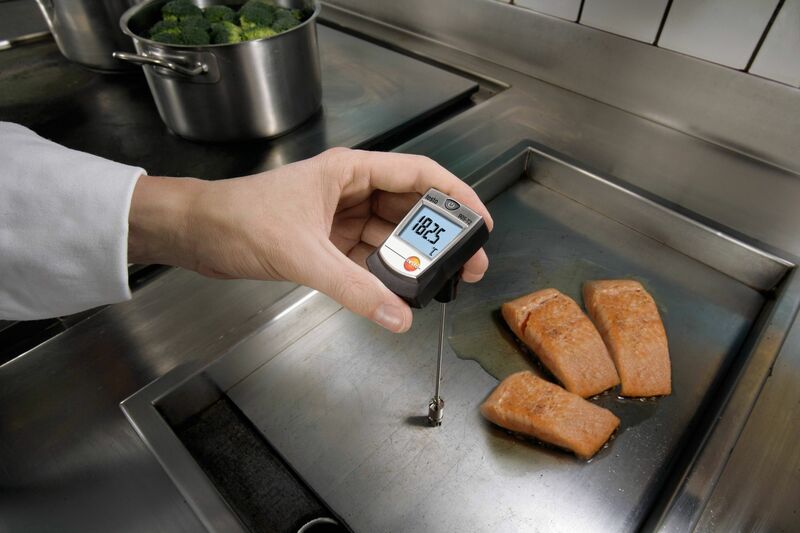 The testo 905-T2 surface thermometer is really easy to use: The measured values can be conveniently read from the clear display. They are also easily legible from different angles. This is provided for by the display`s swivel joint which can be constantly adjusted to your angle of vision.